Welcome to Old World Stamps fine quality stamps and supplies at affordable prices. 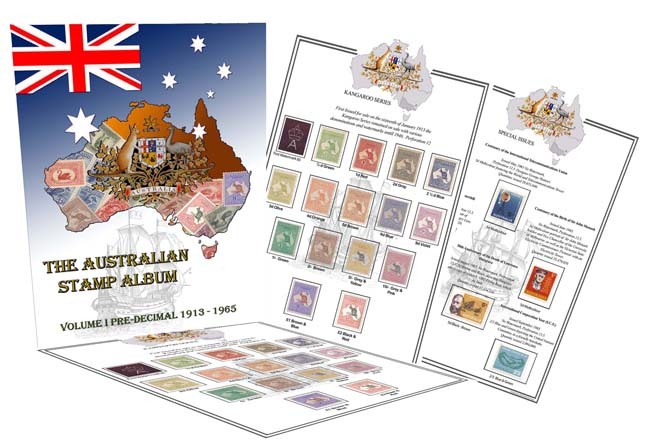 We stock Australian Full Colour Stamp Albums ranging from the luxurious States / Colonies edition to the world first Full Colour Australian Pre-Decimal Album. The perfect house for any Australian Collection our Colour Albums are created with the finest materials High quality Padded Binders from Europe, Cristal Clear Stamp Mounts and thick acid free archival quality paper. We also stock an affordable variety of black and white printed albums all available at affordable prices.Whether you are an experianced collector or a beginner just starrting out we have the Album for you. Click on the Categories menu (just to the left) to view our range. Bank Deposit, Money order, Cheque (Bank or Personal) and Paypal.